A new manual “Journalism, 'Fake News' and Disinformation: A Handbook for Journalism Education and Training” was released by UNESCO for practicing journalists as well as those who teach journalism. Written by experts in the fight against disinformation, the handbook explores the nature of journalism with modules on why trust matters; thinking critically about how digital technology and social platforms are conduits of the information disorder; fighting back against disinformation and misinformation through media and information literacy; fact-checking 101; social media verification and combating online abuse. NewsGuard Technologies, a new service that uses journalists to rate news and information sites, launched its first product today: web extensions that let users view vetted, non-partisan trust ratings for news and information websites. Users can install the extension for the Microsoft Edge browser and Google Chrome, and websites will feature either red or green rating icons. NewsGuard, co-founded by journalist Steven Brill and former Wall Street Journal publisher Gordon Crovitz, says that by October it hopes to have completed ratings for 2,000 sites responsible for 98 percent of the news and information shared online in English in the US. Brill says Spanish language sites will be added by year end. Google today announced major new efforts to support the news media, pledging to invest $300 million over the next three years to combat fake news, bolster sustainability, and foster new tools. The programs are group under the Google News Initiative and are intended as a global expansion of the Digital News Initiative that has granted tens of millions of dollars to European media in recent years. 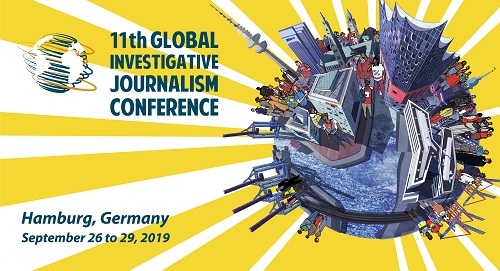 The GNI initiative cites three specific goals: to highlight accurate journalism while fighting misinformation; help news sites become more sustainable; and create new media tools to assist journalists in their jobs. In a message on World Communications Day, Pope Francis released "Fake News and Journalism of Peace," a missive denouncing the spread of fake news and lauding journalists as "the protectors of news." Said the Pontiff: "In today’s world, theirs is, in every sense, not just a job; it is a mission." He called for "a journalism that is truthful and opposed to falsehoods, rhetorical slogans, and sensational headlines. A journalism created by people for people, one that is at the service of all, especially those – and they are the majority in our world – who have no voice." Russia's far-ranging intrusions to undermine democracy in Europe and the United States are detailed in a new report by Democratic Party staffers of the US Senate Committee on Foreign Relations. This disturbingly detailed 206-page report on Russian interference relies heavily on investigative reporting by independent media, including GIJN members OCCRP, Re:Baltica and ProPublica. The report describes Kremlin use of state foundations, NGOs, think tanks, political extremists, the Russian Orthodox Church, the energy industry, organized crime and corruption. With the Trump White House kicking off its first press briefing this weekend with blatant falsehoods and unprecedented press bashing, the U.S. media is in uncharted waters. As major media hit back, branding Trump team statements as lies, Columbia University's Todd Gitlin calls it a moment of truth for American journalism. Facebook is facing tough scrutiny for its role as publisher and distributor of a flood of misinformation and fake news during the U.S. election. From President Obama to media critics, the online service is being singled out for allowing extraordinary amounts of false reports to reach voters. Facebook, argues, CJR, "should play a more active part in editing—yes, editing—its own platform, and hiring actual people to do so."